Verizon (NYSE:VZ), the largest U.S. wireless carrier, has been performing well over the last few quarters, driven by its unlimited data plans, which have allowed it to post strong postpaid phone net additions. The company’s outlook for 2018 remains fairly positive, with full-year revenues projected to grow in the low single digits, with its service revenues expected to return to growth around the end of the year or early next year. In this note, we take a look at our expectations for the company’s various business segments over 2018, and some of the factors that are driving our $52 price estimate. 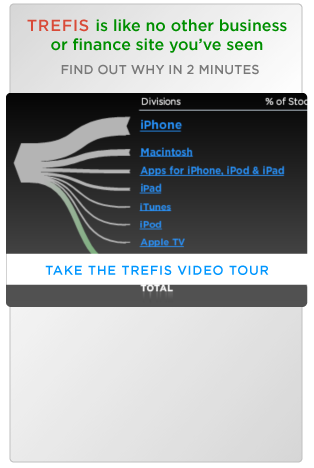 We have created an interactive dashboard analysis which outlines our expectations for the company. You can modify the key drivers (with blue dots) to arrive at your own price estimate for Verizon stock. Verizon’s postpaid business should see further growth, driven by continued uptake of its unlimited data plans. However, the carrier’s ARPU growth could remain sluggish, as unlimited plans put a cap on overage fees and limit upside from high-value customers. Further, its wireless margins should remain relatively flat amid the aforementioned ARPU pressure. Meanwhile, Verizon’s Prepaid business could see some expansion, driven by an improving retail footprint and higher data attach rates. Wireless equipment revenues should also grow year-over-year, driven by new smartphone launches from Apple and Samsung. Additionally, the legacy wireline business will continue to see declines amid customer attrition in business and residential landlines. FiOS broadband operations, which are based on FTTH, should continue to grow as speeds trend higher. However, FiOS TV operations could face headwinds as the cord-cutting trend continues. Verizon’s overall revenues will likely see low single-digit growth for 2018. The carrier’s EPS growth will be driven primarily by a reduction in the U.S. corporate tax rate from 35% to 21%. Verizon forecasts an effective tax rate of 24% to 26% for this year. 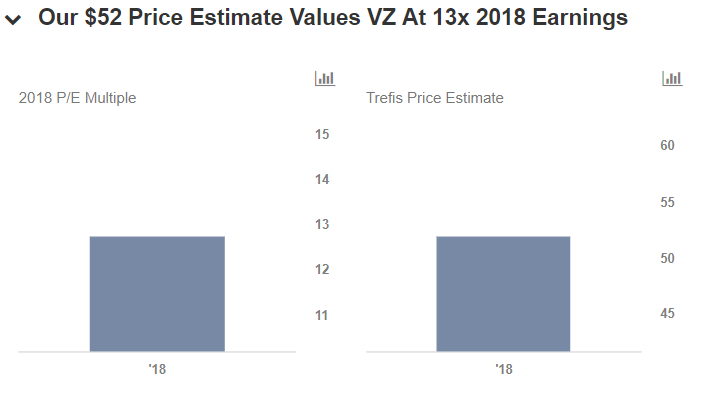 Our $52 price estimate for Verizon, which is about 10% ahead of the current market price, is based on a P/E multiple of 13.